Greetings, readers! By now, most of you are aware of the fact that I am a Marvel fan, and I really enjoy Marvel’s Avengers, inside and outside of the theaters. But in all my talk about the Avengers, I have let my old favorites, the X-Men, go by the wayside. Mostly, this is my own fault, but I would say that part of the reason is how Marvel’s writers – for the comics and the films – have been treating the X-Men over the last few years. As I said in previous Spotlight! posts, the X-Men and Spider-Man were my first introductions to the world of Marvel Comics. Up until a few years ago, I thought that they were the only characters Marvel owned, aside from the Fantastic Four (who I knew of peripherally for many years) and the Hulk. Much has been said in favor of the X-Men films, but for my part, I detest them. 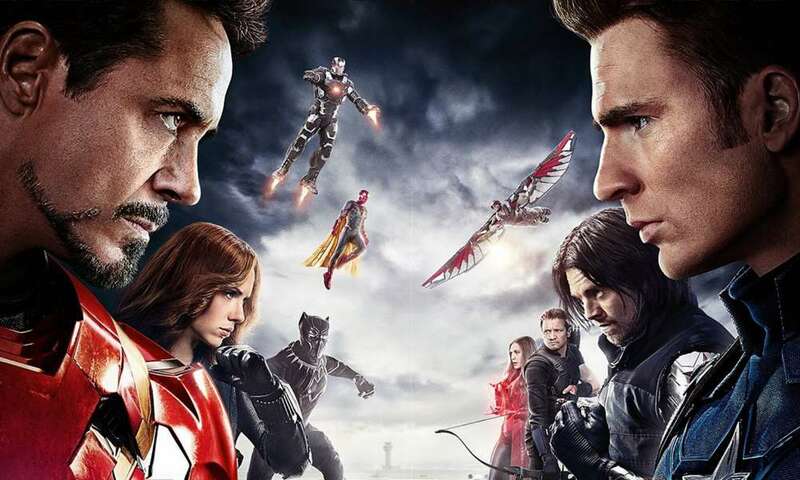 Where Marvel’s Avengers films have a clear roster, clear origins, and tie back easily to the earliest Marvel Comics, the X-Men films are less understandable. The roster for the X-Men franchise is almost always in flux and new mutants are constantly coming and going – even within the same film! There are literally thousands of mutants in Marvel Comics. I only know a few of them. How can I possibly be expected to keep up with all of the characters popping in and out of an X-Men film? Plus, there have been so many different versions of the X-Men that the relationships in the films are not the relationships which I grew up with. Even a dedicated X-Fan like myself ends up with crossed eyes after catching a glimpse – a glimpse, readers! – of an X-Men film. What are the X-Men? The X-Men are a superhero team made up entirely of mutants. What is a mutant? Well, unlike real mutants, the mutants of the Marvel Universe are people – men and women – born with an advanced X gene. 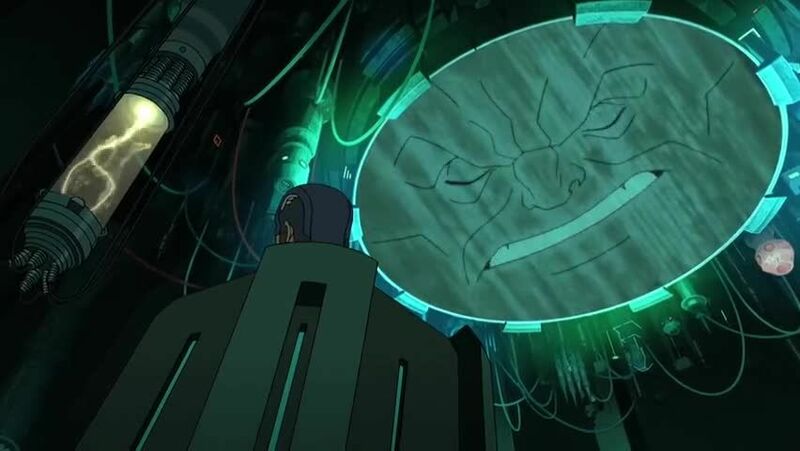 This advanced X gene is what gives them their powers. These people, thought to be the next stage in human evolution, are called mutants. A mutant’s power(s) usually manifests itself when they hit their teen or pre-teen years, but some can use their powers from the time they are born. Some mutations in the Marvel Universe are obvious, others are not. Jean Grey, one of the original X-Men, is an example of the latter. Her mutant powers are telekinesis and telepathy; she looks completely normal but is in fact beyond average. Other mutants have very obvious mutant traits that make them stand out in a crowd: fish features, skin that has turned to crystal, wings, twisted faces, fur, or strangely colored eyes and/or skin. Mutants are known in the Marvel Universe as Homo superior and some people hate them simply for being different, almost the way they hate the Hulk. Some of these people hate mutants because they think that, in time, mutants will outnumber normal humans, who will become extinct as a result. I have never truly bought into that idea myself; but that is what these mutant haters say they believe. In response to these haters, some mutants have formed radical terrorist groups that say mutants should rule over normal humans. Many mutants simply want to be left alone, and their fear of the haters on both sides of the argument leads many to either hide their mutations or disappear into the sewers – literally. Professor Charles Xavier/Professor X: Regarded as the most powerful telepath on the planet, Professor Charles Xavier – better known to us X-Fans simply as ‘Professor X’ or ‘The Prof.’ – is the founder of the X-Men as well as the “School for Gifted Youngsters.” This school is both the headquarters of the X-Men and an actual school where young mutants are taught regular academics, as well as being trained in the use of their powers. 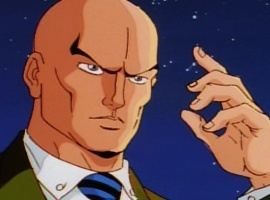 A geneticist with knowledge of many other sciences, Professor Xavier suffered an injury in his early adolescence which crippled him. When he saw how humans and mutants were not getting along, often over simple things or a lack of understanding, he decided to do something about it. 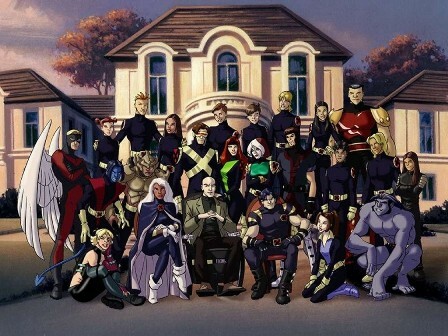 Professor Xavier assembled several young mutants and taught them how to use their powers for good. Then he sent these youths and adolescents out to do battle with the forces arrayed against peaceful coexistence between mutants and humans. He has had to rebuild the team from time to time – his first students hit adulthood and decided to retire, or at least take a leave of absence, leaving their cause largely undefended. The Professor then had to find new mutants to take up the banner. Much like Merlin of Camelot, the Professor has been the grounding force for the X-Men and the voice of wisdom they all turn to – even the sour-tempered ones! The sheer power of the force beams Cyclops projects can burn through most any substance on Earth and probably a few extra-terrestrial metals as well. Super-powered beings or mutants with healing factors/super strength can withstand his power, though it hurts those with healing factors. Otherwise, Cyclops’ “Optic Blast” can destroy almost anything and kill practically anyone. Jean Grey: Jean was recruited by Professor Xavier not long after Cyclops was. The two quickly started doing the “Romance Two-step” and Cyke has never really loved anyone but her. A powerful telepath and telekinetic, Jean was the daughter of one of Professor Xavier’s friends. 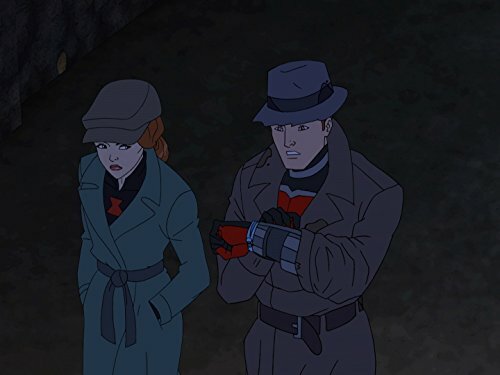 Kind, and with a personality almost as interesting as Cyclops’ (yawn), Jean acts as the Professor’s voice in arguments between the X-Men on the field and in the school. She’s no spitfire, but you do not want to get her angry, either. Jean’s history with the X-Men is beyond complicated. I do not know all the details myself, mostly because it is all so confusing! Jean is typically kind, friendly, and always willing to help out. But I never really liked her or thought she was the cat’s meow. Still, I cannot see anyone else by Cyclops’ side, seconding for him in the midst of a battle, or breaking up fights as easily as she does. James “Logan” Howlett/Wolverine: Known as Wolverine or “Logan” since he first showed up in the comics, Wolverine has to be the most recognizable member of the X-Men, in no small part due to the fact that he is central to the X-Men film franchise. When exactly he was born I am not sure, though recent rewrites put his birthday somewhere around the 1820s or 1830s! Traditionally, Wolverine has been a Canadian, but now I am not so sure the writers have left even that part of what little history he had outside of the X-Men alone. For all intents and purposes, though, as far as I know he is a Canadian citizen. Logan’s mutant power is a healing factor that allows him to survive the worst wounds – up to and including nuclear explosions – and is constantly regenerating his flesh. A side benefit of this is his enhanced, almost animal, senses. He can hear, see, and smell as well as the animal he uses for a codename. His healing factor is also the reason for his longevity, not to mention his apparent “youth.” After all, he does not look like a man who has lived two hundred plus years, now does he? One other thing Wolverine’s mutant power has given him is a set of three bone claws in each forearm. These claws extend from his forearms and slide out of the skin on the back of his hands, locking into place just above his knuckles. His skin has to heal closed every time he retracts these claws. Subjected to an experiment at some point in his past, Wolverine’s skeleton was coated with adamantium, a fictional metal in the Marvel Universe which is heavy but as durable as vibranium, the metal which was used to make Cap’s shield. (Interestingly, Cap’s shield was originally made from an experimental mixture of vibranium and adamantium; recent re-writes have made it a purely vibranium weapon.) This is why Wolverine’s claws appear to be made of metal; they are bone coated in metal. Wolverine’s metal skeleton adds to his near immortality. The guy is extremely hard to kill, but he has come to the brink of death more often than even Rocket Raccoon. Like Rocket, he does not enjoy pain and has to psych himself up to take extreme punishment in battle; the adamantium in his body should also kill him, as so much metal in the body is toxic to a normal human. But once again, Wolverine’s healing factor keeps him alive despite the metal bonded to his bones (which makes him weigh a lot more than he should and makes it hard for him to swim, not to mention the trouble he would have going through metal detectors). Sometime after the experiment which gave him his metal skeleton, Wolverine’s memories were wiped from his mind. He can – or could – only recall fragments of his former life, one of which was the moniker “Logan.” Always a tough guy, the fact that he could not remember anything about himself and the fact that he regularly survives things which should kill him, makes Wolverine an unhappy guy you do NOT want to irritate to the point of anger. He has a temper to at least match the Hulk’s lowest anger level – and no one knows just how low Hulk’s rage can go. Wolverine snarls, growls, and is prone to animal, berserker rages when he is incensed or the pain – physical, mental, or emotional – becomes too much for him. He is hard to get close to but he is not above being gentle; Wolverine has mentored at least three girls in his tenure as an X-Man. Honestly, I think Wolverine’s penchant for being gentle toward these girls, as well as his never-leave-a-friend-behind sense of honor and loyalty, are what endeared him to me. It is too bad he is so often shown slashing and hacking people to bits in the films; I know he is capable of doing it and has done it in the comics, but it was always a side of himself that he hated and tried to suppress, or at least control. That said, Wolverine is definitely an X-Man you can trust to watch your back. He will growl and snarl about it, but he will not just let someone die. This is the Wolverine I know – or knew, rather. Ororo Munroe/Storm: I thought Storm was one of the coolest members of the X-Men. Born in Cairo to a Kenyan princess and an American photographer, Storm was orphaned at the age of four when her parents’ apartment building was accidentally bombed. Trapped in the rubble for days afterward, Storm’s greatest weakness is her claustrophobia. She is terrified of small spaces and will either collapse as her fear overwhelms her or try to bust her way out of her enclosure. Storm’s powers manifested when she was roughly thirteen years old. She can manipulate weather patterns, a power known as “weather warping,” in order to generate storms of all kinds, high winds, tornadoes, rain, and she can even cast lightning bolts out of a clear sky. By this method she can also move weather patterns around enough to ensure clear skies for a day or two, though she does not do this very often, as far as I know. Unlike Thor, who can make new weather patterns out of thin air, Storm is only a “weather witch.” She needs existing weather patterns to generate her storms, and if she pulls too much moisture from one area or too much dry air from another, she can upset the balance of the weather in a region for months, if not longer. Storm’s powers are closely linked to her emotional state. If greatly angered or frightened, the weather quickly turns wild as she starts whipping up storms, often without clear intention. When trapped in a small space, Storm will unleash her powers in order to blast her way into the open again. If that does not work, she collapses and becomes weak, unable to take being confined as she was when she was a child. In order to keep her powers under control, Storm is often the center of calm in battles of will among the X-Men. This adds to her regal bearing and motherly tendencies. I cannot recall one X-Man who has ever been afraid to go to Storm about a problem. She is always willing to talk, listen, or be a motherly figure to one of the younger X-Men. That being said, Storm has the temper Jean Grey so conspicuously lacks. She is not averse to telling someone off for bad behavior – even Wolverine has received lectures from her! And if Storm witnesses an injustice or an act of evil, she will act to correct it – immediately. The more severe the act of evil, the more likely she is to react with extreme prejudice. She is not a lady you want to cross! Remy LeBeau/Gambit: A former thief from Louisiana, Gambit is a great hand at cards. He’s an even better flirt, able and willing to charm the ladies in a heartbeat (think Fandral, but with a Cajun accent and dark brown hair). How Gambit came to be an X-Man I am not sure. But at some point, he met the X-Men and decided he liked them better than thieving. So he joined the team and became one of its most valuable members. Gambit’s power is the ability to charge any object with kinetic energy. Gambit’s power accelerates an object’s molecules so that they are going as fast as they can go. As long as he holds the object, everything’s fine. But once he releases it – BOOM! The object will explode, and the bigger the object, the bigger the explosion. Gambit’s trademark weapons are a thin staff he can use to channel his ability and decks of playing cards. (Hey, he didn’t get the name “Gambit” for nothing!) The cards are what he uses most, charging and throwing them like grenades. They make remarkably high-yield explosives; Gambit has blasted down doors, vehicles, and numerous other objects with his cards. When he uses them against people, Gambit generally lessens the explosive impact of his “grenades.” At least, I have never seen him blow someone up and turn them into a pile of ash. Knock them down, stun them, yes, but I have never seen him kill anyone, which is one of the reasons why I am so upset at Marvel’s writers (see my post “Poker: Gambit Style” for more on that). Gambit is a thief and a scamp, but at the end of the day, he is an honorable man who will do the right thing – with his own style and flair, mind you! Anna Marie/Rogue: Growing up, I had four favorite X-Men: Storm, Wolverine, Gambit, and Rogue. I did not know a lot about Rogue there for a while – I was really young when I started watching the X-Men, so a lot of stuff flew over my head – but there were a few apparently “obvious” things about her. She was a Southern Belle who could fly, was nearly indestructible, and could hit with the force of a freight train. Only, those are not actually Rogue’s natural mutant abilities. She stole them from Carol Danvers, who in the 1990s still went by the moniker Miss Marvel. Miss Marvel ended up with Kree DNA in her system and, as a result, gained the above abilities (as well as a few others). 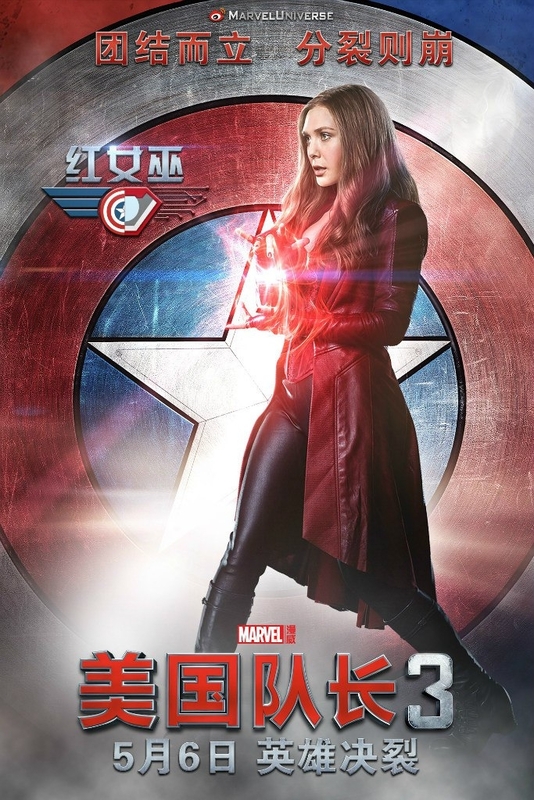 Donning a costume, she became the heroine and part-time Avenger Miss Marvel (in the comics, she worked with the X-Men on occasion and was good friends with Wolverine). Rogue’s actual mutant ability is far more deadly. When she makes skin contact with a person, Rogue absorbs their memories, abilities, and a portion of their psyches. Mostly, this is described as a “life-force” draining ability. I have always preferred to think that her power makes her something like a human computer. Other people are the CDs, discs, or “documents” to her; she touches them and sort of “downloads” their files. The longer Rogue keeps skin contact with a person, the more she drains off. A light touch knocks someone out for a few hours, maybe a day; a longer one, several days. If she does not let go, odds are good the person she touched will end up in a coma – or dead. Rogue first discovered her power when it manifested. She and her boyfriend were having their first kiss and suddenly he passed out. He was in a coma for a few days, but eventually recovered (according to the TV series, the comics have a different take, I think). But Rogue did not recover. She still had a “copy” of his mind in her head; what is more, anyone else she touched got “downloaded” into her head as well. So she ran away from home and was found by the mutant villain Mystique who, learning about what Rogue could do, took her in and trained her to use her powers…but this was in order that Rogue might be used to aid Mystique in all her plots and schemes, one of which landed Rogue in a fight with Carol Danvers. During the fight, the two made skin contact. Rogue tried to break free when Danvers’ overwhelming power and anger scared her but Danvers, her Kree DNA whipping her into a fury, did not let go until she passed out. Whereupon Rogue discovered she had absorbed a good portion of Danvers’ powers. Instead of fading away, like all the other powers and talents Rogue had absorbed previously (the powers she absorbs never stay for more than a few days), Danvers powers appeared to be hers for keeps. Unfortunately, so was a good portion of Carol Danvers’ mind. Danvers’ body remained in a coma but her psyche was largely trapped in Rogue’s mind for years. The separation made Danvers a little loopy (in the cartoon series); she would furiously “attack” Rogue or take control of her. Rogue had learned to deal with the copies of other people’s minds in her head; they eventually faded to phantoms she could barely hear. They had no control over her. Danvers did not fade, and she could take control of Rogue, and Mystique both could not and would not help Rogue get her out of her mind. At the same time, Rogue began to break down as she realized just what she had done to Danvers. Stealing the woman’s powers was one thing, but she had also locked Danvers in her own mind and body, leaving Danvers’ real body in a coma. She had practically committed murder. The remorse was too much, and – coupled with the fact that Mystique wanted her to go on using her absorbing powers – drove Rogue to run away again. She ended up with the X-Men, using her actual powers only when the team needed information or it was necessary to help others. For the most part, she relied instead on Danvers’ powers. As a footnote, it is largely because of Rogue that Gambit joined the team. Used to stealing, Gambit was unprepared when a thief named Rogue stole his heart. 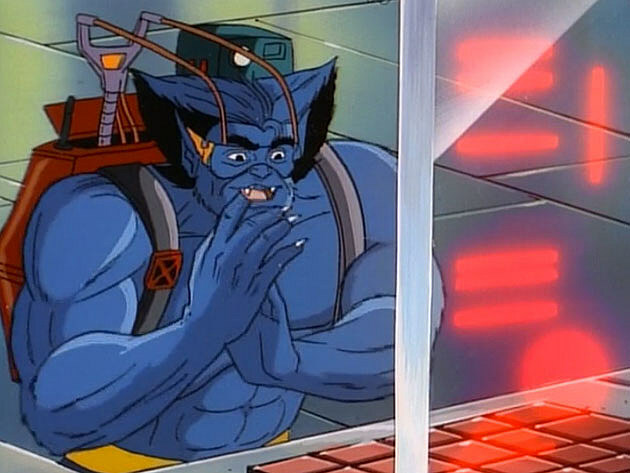 Kurt Wagner/Nightcrawler: A mutant from Germany, Kurt’s mutation is one of those “Hi, I’m a mutant!” gifts. From the time he was born, Kurt has had two toes on each foot, two fingers and a thumb on each hand, a tail, blue fur/skin, yellow eyes, and pointy ears. His overall appearance makes him look like a demon, and so he was persecuted for many years for his appearance. But his “terrifying” features did not dissuade a German couple from adopting him after they found him practically out in the middle of nowhere. Kurt’s mother abandoned him after he was born, as she was accused of having a “demonic” child. It was years before he knew who she was; as far as I know, he never has tried to find his father. Kurt’s appearance has ever been at odds with his personality. Instead of being dark and broody, Kurt is often the sunshine on the team. He cracks jokes, smiles, laughs, teases, all with the aim of cheering up his teammates and friends. He has often been called “swashbuckling” and is a very chivalrous, kindhearted fellow. Although beat up, mocked, and screamed at by everyone but his adopted parents as he grew up, Kurt is one of those rare people who turned out just fine despite the persecution he underwent. His mutation’s physical effects are obvious, but Kurt’s mutant power is not. He is a teleporter who can disappear and reappear up to two miles from his particular position – but only so long as he can clearly visualize where he is going. Otherwise, things get complicated. His ability takes him through another dimension at the speed of, well, thought I guess. Going through and coming back means he leaves behind a puff of smoke and there is usually a “bamf!” sound as air fills the place he left behind. Nightcrawler’s body is also perfectly formed so that he can almost instinctively pull off gymnastic and contortionist tricks. In a battle, Nightcrawler will often teleport around an opponent (it is not hard for him to teleport short distances), striking and disappearing before his enemy has time to catch him. As things turn out, Rogue is Kurt’s adopted sister. 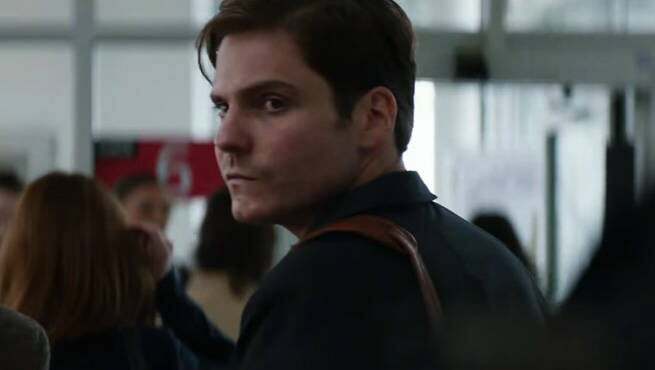 Mystique is Kurt’s birth mother, and because of his obvious resemblance to her and his also obvious inability to hide his mutation, as she can, she felt she had no choice but to abandon him. Tsk, tsk. Don’t judge a book by its cover, people! Peter Rasputin/Colossus: A big farmboy from Soviet Russia, Peter Rasputin is a warrior only because he needs to be. An expert painter, Colossus is said to have a “poet’s soul,” and despite being six feet five (or more) inches tall, Peter is generally a gentle giant. But get him angry at your own peril. Colossus’ mutant power is to turn his skin into an organic metal. Metal “plates” will suddenly start appearing on his body when he activates his power. Soon, from the top of his head to the soles of his feet, he is entirely made of metal. Depending on the TV series you find him in, Colossus can be laconic or open, friendly, and willing to talk. For the most part, in the comics he was an easy, charming, innocent fella who had a knack for walking smack into trouble. He is loyal to a fault and kind to the point that he is often easily taken advantage of. But he is an X-Man through and through. Katherine “Kitty” Pryde/Shadowcat: A Chicago girl, “Kitty” Pryde was inducted into the X-Men at twelve or thirteen years old, after her powers manifested. What is her power? Kitty can destabilize her molecules so that she can pass through solid objects. Called “phasing” by everyone in the Marvel Universe, she essentially becomes insubstantial. In this state she can walk through walls, bullets, or even opponents, all without coming to harm. Her power can also be used offensively. Although I cannot recall her using her power to internally hurt people, Kitty can phase into a person, turn a part of her body solid, and whack her opponent wherever she can reach. I am not sure just how she does it, but she uses a similar trick to fry computers and other machinery. This either leaves the tech sparking and useless or preps it to blow up. If she concentrates, when she is holding on to someone or something, she can “phase” the other person or object through solid walls – or bullets – as well as herself. Warren Worthington III/Angel: The Tony Stark of the X-Men, Warren is a typical rich gentleman. He has the looks, the money, the charm, the manners, and the heart-throbbing smile of a knight errant. As well as a pair of six foot or so long wings which he was literally born with. These white-feathered appendages gave Warren’s parents no end of headaches. Being a well-to-do family (Warren has his own private jet! ), they could not exactly let the whole world know their son had wings! Can you imagine the tabloid headlines on that, I ask you? So they spent most of his youth making sure Warren’s wings were well hidden. I cannot say how Warren feels/felt toward his parents; they loved him just fine, it was his wings they had a problem with. Anyway, Warren was eventually recruited to be one of the first X-Men by Professor Xavier, and he made a dashing addition to the team. But, even more so than Tony Stark, Marvel’s writers put Warren through the wringer. In one battle, Warren’s wings were seriously damaged. His father had them amputated, both to save his son’s life and to get rid of those troublesome appendages once and for all. Distraught, Angel tried everything he could to regain his wings. When that did not work, he considered jumping off a building instead. The new wings, though, came at a terrible price. Angel, now called Archangel, was enslaved to the man who had given him his wings and was subsequently further altered. He now has blue skin and deals with a “dark side” this enemy programmed into him; though he has control of it by and large, he is not the debonair knight errant with the kind heart that he used to be. I can’t think of him without feeling sincerely sorry for him. Henry “Hank” McCoy/Beast: A scientist and lover of Shakespeare’s works, Hank McCoy’s mutation was not very noticeable for a good portion of his life. Early on, he just looked like a meaty, muscled, ape-framed fella who had a nice face and the keen mind of a scholar. He was a great football player, too. Beast had all the strength and agility of the ape he physically resembled – that was his mutant ability. But after a while, Beast got tired of being a mutant. He wanted to be a normal man. So he whipped up a serum which was supposed to get rid of his mutant abilities. Only, the serum backfired. Big time. Instead of losing his mutant powers, Beast accidentally increased them. He grew blue fur, fangs, his senses of hearing, smell, and sight increased – and he gained, for the first time, animal instincts. As well as a new, animalistic fury that can nearly match Wolverine’s berserker rage. That is the Beast from the comics and some of the newer cartoons. The Beast I knew in the 1990s cartoons certainly looked the part, but he rarely went into an animal rage. Mostly, he was the calm, philosophical scientist who quoted Shakespeare as he knocked a couple of helmeted goons’ heads together. Robert “Bobby” Drake/Iceman: Bobby was in his mid-teens when the Professor recruited him to be one of his first X-Men. 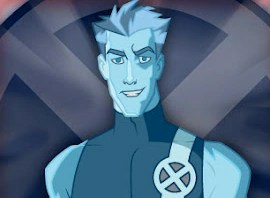 Iceman gets his name from his mutant power: he can freeze moisture in the air to form snow or ice. He most often makes ice, covering himself in a thick layer of it as extra armor. Thus Iceman is, obviously, as immune to the cold as Loki. Iceman also learned to make Hot Wheels type “ice tracks” which he uses to get around. If I had to compare him to another Marvel character, I would say he is probably a lot like Spider-Man. He makes wisecracks, is usually genial, and started out as one of the greenest rookies on record. But he is a tough opponent to beat, even if his enemy has heat powers to challenge his cold, and is a fairly able commander. Jubilation “Jubilee” Lee: Jubilee was the youngest member of the X-Men in the 1990s cartoon. A California girl who was taken in by foster parents, Jubilee’s powers manifested not long after she moved into her new home. She has the ability to shoot streamers of plasma from her hands (I always thought she shot fireworks out of her fingers). The plasma stings, apparently, and can wreck machines even better than Kitty can. Lost and confused after her powers manifested, Jubilee fell in with the X-Men and, even after a misunderstanding that saw her shoot Wolverine in the back, managed to become part of the team. And odd as it may seem, Wolverine took her under his wing not long after; for most of the series, the two were virtually inseparable. WHEW! I am wiped, readers! I think you are probably as tired as I am. I am going to sign off now, then come back with a second post detailing the X-Men’s main enemies. I will try to make that list shorter, but I cannot guarantee anything. This entry was posted in Marvel Comics' Characters and Stories, Spotlight! and tagged Angel/Warren Worthington III, Archangel/Warren Worthington III, Beast/Hank McCoy, Chicago, Colossus/Peter Rasputin, Cyclops/Scott Summers, Gambit/Remy LeBeau, Iceman/Bobby Drake, Jean Grey, Jubilee, Marvel, Marvel Comics, Marvel Comics' Characters and Stories, marvel tv shows, mutants, Nightcrawler/Kurt Wagner, Professor X/Charles Xavier, Rogue, Shadowcat/Kitty Pryde, Strom/Ororo Munroe, superheroes, Wolverine/James "Logan" Howlett, X-Men on September 7, 2015 by The Mithril Guardian.